You might have healthy, real food inside the pan, but is the pan itself contributing to disease in your body? Dr. Josh Axe explains what cookware to avoid and what to use instead. -A recent research from Newswise found that teflon cookware raises LDL cholesterol, causing heart disease. -Research has also shown that teflon cookware releases highly toxic substances at high temperatures. -Side effects of using teflon cookware include thyroid issues. 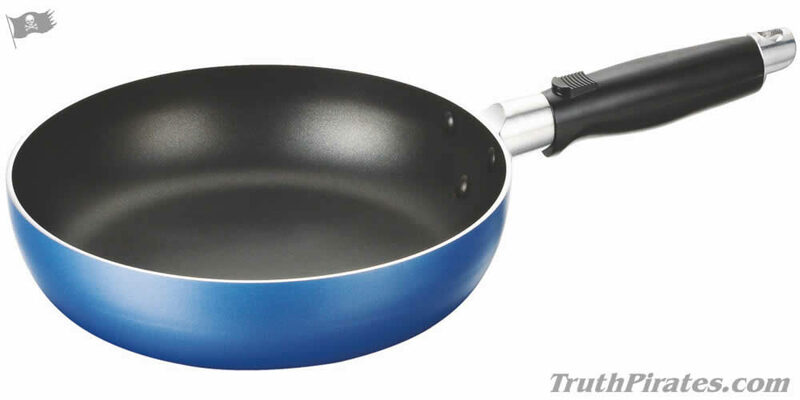 -Studies found that the use of teflon cookware increases risk of infertility by 134% in both males and females. -Teflon cookware also increases risk of cancer and acts as an immunosuppressant, increasing inflammation throughout the body. Non-stick cookware and bakeware has become enormously popular because of its convenience. Foods slide right off, reducing the amount of elbow-grease required to clean the pan. Ditto for stain- and water-repellant clothing, carpets and fabrics, and many other treated products that have emerged over the past six decades. Coming Soon to Truth Pirates!